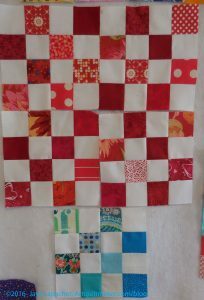 I now have 12 red blocks, which I thought was the end of what I needed to make a top. I actually need at least 16, so I still have some sewing to do before I can make a top. 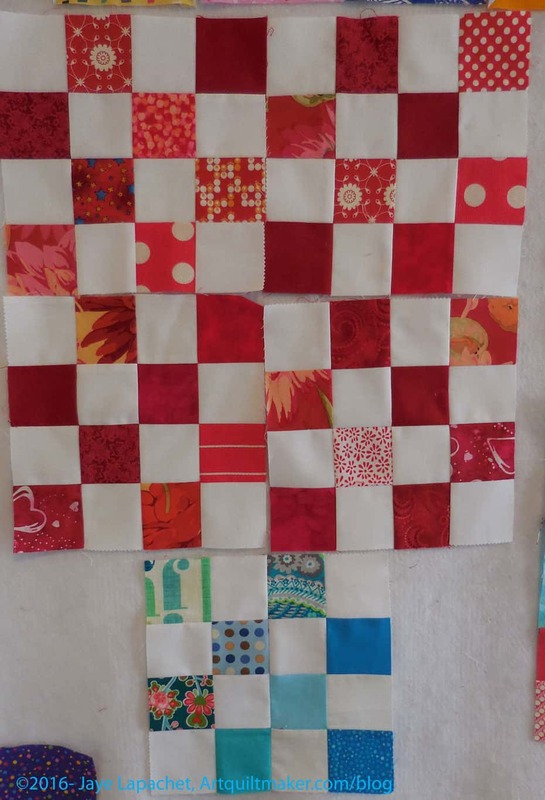 That means I also have to cut more red squares as I am getting bored of the ones I have. I have a few blue blocks, which I really like. They are cheerful. 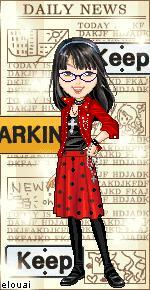 I have been tossing them into my BAM bag, but I may keep them and make a top from them as well. We’ll see.